38 mm x 75 mm labels, 14 per page when separated. A4 MICROPERFORATED SHELF EDGE LABELS – 120 GSM. WHITE 120 GSM LASER GUARANTEED PAPER WITH PERFORATIONS. A4 MICROPERFORATED SHELF EDGE LABELS. Creates fourteen 38 mm x 75 mm size cards when separated. They are ideal for shelf edge labeling, product inserts, name badge inserts and event tickets. 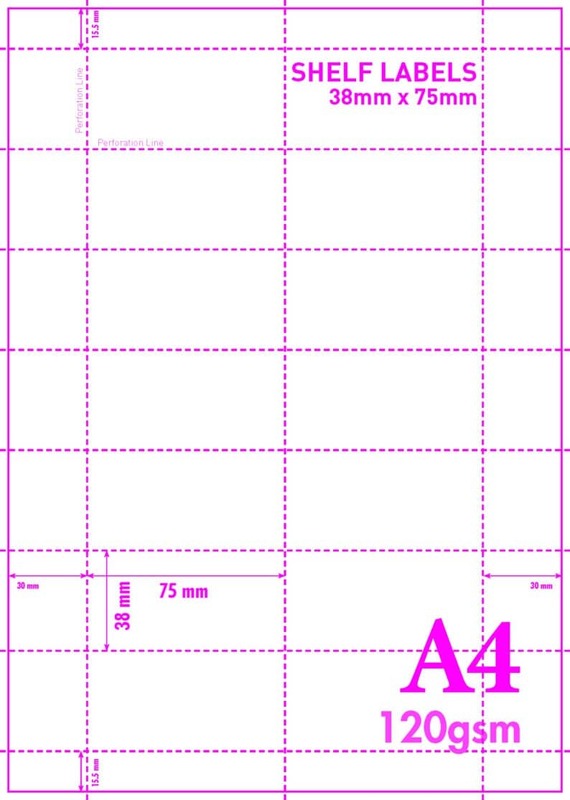 We can also produce these to your specification on any weight paper or card up to 190gsm. MICRO PERFORATED FOR EASIER SEPARATION and a clean finished edge. A4 size – 210 x 297 mm. 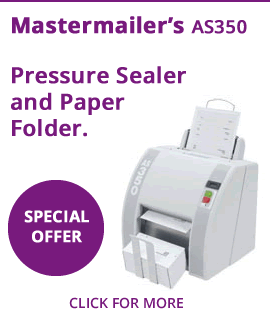 High quality LASER GUARANTEED 120 gsm paper – (No paper jams or missfeeds). *NO CARRIAGE CHARGE ON THIS ITEM IF YOU SPEND MORE THAN £40.00* – see delivery conditions. We offer a money back guarantee if you are not completely satisfied with our perforated paper. IF YOU REQUIRE A DIFFERENT TYPE OF PERFORATED FORM THEN PLEASE CONTACT US TO DISCUSS YOUR REQUIREMENTS. Our staff are able to help with most applications. MAKES 16 x A8 SIZE CARDS. 150GSM LASER GUARANTEED PAPER. Each card is 74 mm x 52.5 mm when separated. 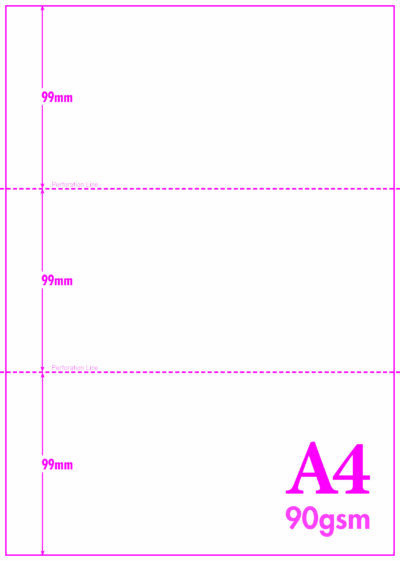 A4 MICRO PERFORATED EVENT TICKETS WITH FOUR PERFORATIONS. MAKES 4 x 140mm Tickets with a 70mm stub. 150GSM LASER GUARANTEED PAPER. 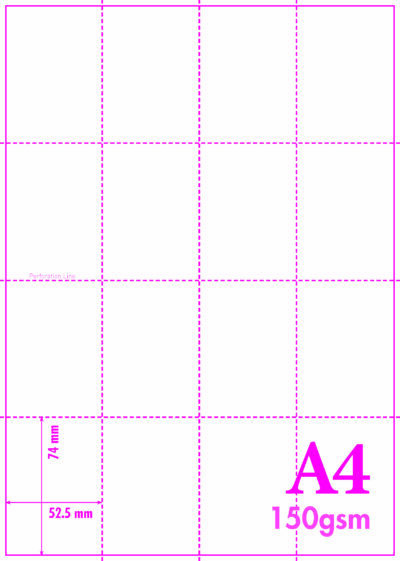 A4 MICRO PERFORATED PAPER WITH THREE PERFORATIONS. MAKES 6 TICKETS. EACH TICKET 70mm x 148mm when separated.